A few passing clouds, otherwise generally clear. Low 56F. Winds light and variable..
A few passing clouds, otherwise generally clear. Low 56F. Winds light and variable. 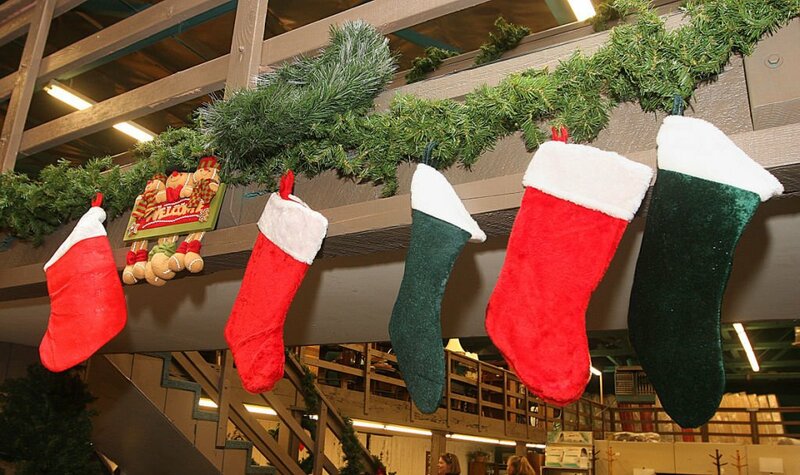 Lemoore Furniture added stockings to their decorations during last year's Holiday Stroll in downtown Lemoore. First Presbyterian Church, 340 N. Irwin St. in Hanford, hosts a Concert of Hymns at 3 p.m. Nov. 15. 3-8 p.m. in downtown Lemoore. Come out and enjoy the window displays and entertainment of downtown merchants as they gear up for the holiday season. Firetruck rides and photos with Santa are available as well. Information: Lemoore Chamber of Commerce, 300 E St., Lemoore, 924-6401. 9 a.m. to 3 p.m., Saturday and Sunday, in the Civic Auditorium. Hanford Parks and Recreation host the annual Holiday Boutique. Get an early start on your holiday shopping with unique gift opportunities. There will be a special appearance by Mr. and Mrs. Santa Claus. Information: Hanford Civic Auditorium, 400 N. Douty St., Hanford. 9 a.m. to 4 p.m. Koinonia Learning Center Auditorium. The Christmas Craft Fair will include hand crafted items, baked goods, vintage and re-purposed treasures, the Taco Man, books for kids, custom made jewelry and much more. A portion of the proceeds benefit Helping Hands of Mexico. Information: Koinonia Church, 12536 Hanford Armona Road, Hanford. 10:30 a.m. at Lemoore Adventist Church. Retired Navy Captain Bill Hwang is the master of ceremonies with guest speakers; Dennis Seaton, SDA state Counsel Vice President and Sgt. Justin Bond, (US Army, retired) the NJROTC flag bearers and singers, topped off with a no-host luncheon. Information: Lemoore Adventist Church, 1035 E. Hanford-Armona Road, Lemoore, call Linda Marvin at 381-1915. 5-8 p.m. at the Technology Learning Center. Corcoran High School Air Force JROTC is hosting a dinner to honor all of Corcoran's military veterans and families. Dinner is free and provided by Victory Outreach of Corcoran. Information: Technology Learning Center, on the corners of Whitley and Dairy avenues, Corcoran. Call Lt. Col. Cardona at 992-8888 ext. 6266. 9:30 a.m. at Coe Park Hall. This is your opportunity to give input on the draft pedestrian and bicycle plan. Information: Coe Park Hall, 543 S. Douty St., Hanford, 733-0440 or visit www.ci.hanford.ca.us. 3 p.m., First Presbyterian Church, 340 N. Irwin St. in Hanford, hosts a Concert of Hymns featuring organists Dennis Flynn, Denise Postma, Michael Varlas and Janice Mills; violinist Tom Fritz; vocalist Lynda Cuzzort; and the First Presbyterian Church Choir directed by Margie Fritz. 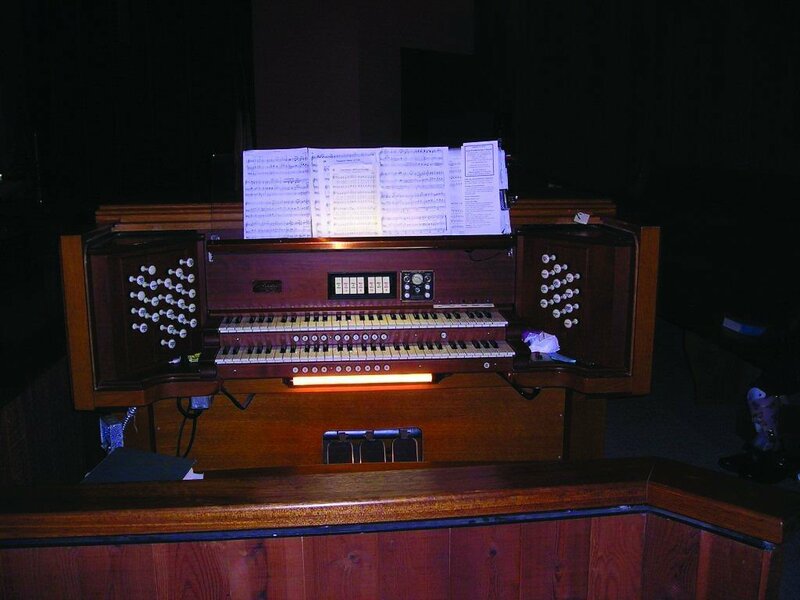 The concert will benefit the First Presbyterian Organ Fund. Information: 582-0283 or visit www.fpchanford.org. Come out to the fall boutique at St. James Lutheran on Nov. 21, from 9 a.m. to 3 p.m. and Nov. 22, from 9 a.m. to noon for silent auction items, a chance to purchase handmade crafts, quilts, holiday decorations and more. All proceeds benefit the church. Information: St. James Lutheran Church, 1780 Emma Lee Ln., Hanford, 584-8706. 10 a.m. to 4 p.m., Nov. 28-29, in the Lemoore Veteran’s Memorial Building. Come out and browse the two day Christmas Craft show and get a jump on your holiday shopping. Vendor spots are $40. Free to patrons. Information: Veteran’s Memorial Building, 411 W. D St., Lemoore, 924-6767. 11 a.m. to 4 p.m., Nov. 29, at the Sarah A. Mooney Museum. Come out and experience a Victorian Christmas in Lemoore. Entertainment, vintage Christmas decorations for sale, hay rides, photos with Santa, food and so much more. Information: Sarah A. Mooney Museum, 542 W. D St., Lemoore, 381-3844. 6:30 p.m., Nov. 30, at Christmas Tree Park. Come out with your finest ugly holiday sweater and be one of the first 50 participants judged. Prizes include gift certificates, and cash prizes. Information: Christmas Tree Park, 1000 Whitley Ave., Corcoran.